Let’s be honest, nobody is perfect. We all make dumb decisions from time to time. Sometimes we know when it is dumb and decide to do it anyway with reckless abandon, and other times we really believe that whatever we are doing is in our best interests. To be fair, none of us can ever guarantee the outcome of any decision I suppose. We all know it isn’t easy to make big life decisions. We generally turn to family for guidance, trusting that they really want what is in our best interests, and to friends for support. That is not to say that we do not want guidance from friends, of course we turn to each other for guidance, albeit in less direct ways. Essentially though, what we tend to want from our friendships is empowerment to make our own choices, and know that we have the strength to overcome any hurdles or mistakes along the way. So what happens when we really don’t think what our friend is doing is a very good idea? It doesn’t matter if it is because she has decided to give up her full time job in favour of joining the circus, or if she has decided to go back to an ex that was no good, or if she has decided to become a he! Whatever it is your friend has decided to do makes you question if she has really thought it through all the way, and because you love her, you worry about the consequences for her. You feel it is your responsibility to be honest with her, and try to express your concern, but all your friend hears is disapproval. Which, at it’s core is destructive to friendships. The thing is, both parties need to accept that concern is not disapproval, and even if it were, friendships are not conditional of approval, but rather of acceptance. When our friends come to us to express what they are doing with their lives, they are looking for a safe place to talk things through, to make their own choices, to vent about their problems and to complain about the consequences of their choices. They do not want, need or expect to have to justify themselves to you, and they will resent it if you make it feel like they should. Most of the time, your friend already knows if she is making the best choice for herself or not. I guess this could play a part in extra defensiveness or sensitivity to disapproval. Or perhaps she already anticipates the disapproval regardless of if you communicate it or not. That said, it could also be that you had already anticipated her choice and come into the conversation with negative vibes too, a combination sure to set off sparks. Most of the time, your friend doesn't want your advice. If she is crying or contemplating... she just wants your attention. To feel like you care enough to listen, and respect her enough to trust her judgement, and then listen some more, however it plays out. Now, depending on the circumstances, you then have to decide if you can actually support this choice without compromising yourself, your values, your boundaries, your health and your safety. If your friend is making choices that in any way impact any of these things, then first and foremost you must distance yourself physically and or emotionally. If there are drugs, abuse, risk of harm to self or others, or any other serious consequences at play, take your concerns to trained professionals and authorities. Psychologists or counsellors or police etc… and advise your friend to do the same. If however, you just don’t approve the choice… think back to a time when you were making some questionable choices. What did you want and need from the people in your life? Love? Support? Acceptance? Ask yourself what the choice is costing you? Are you really concerned, or are you tired of picking up the pieces? Maybe it is always you who ends up bailing her out, mending her broken heart, loaning her money or giving her a place to stay? If the way you have been offering support has been draining you, then that is what needs to change, not your friend. Remember your friends consequences are her own responsibility. It is ok to draw clear boundaries and let your friend know that you expect her to pick herself up after the fallout if things don’t go as she hoped. That is all part of being a good friend. Remember to separate your friends choices from who she is as a person. Instead of expressing worry and concern and disapproval when your friend brings you her choices, which can make the friendship start to seem very conditional and controlling, empower and free you both. Tell your friend that it is not your job or your place to tell her what to do, but that you love her and know she can handle herself and her life. That all choices have potential positive and negative outcomes and while you will always want the positives for her, that you know that even if it doesn’t turn out as she hoped that she can and will grow and learn and handle her business. You will be much more able to console her if things go wrong, if you absolve yourself of any responsibility. Concentrate on living your own life, do not try and live or fix anyone else’s. When you reduce your investment in the outcome, sometimes it actually means loving more, not less. 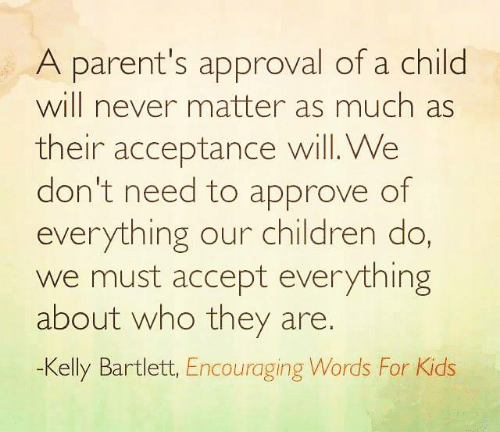 NOTE: Most of the quotes/meme's used for this post relate to parents and children. That is not a coincidence. We must remember that while we love our friends, we are not their parents! Newer PostWhen to stop talking? !